The Historic Sites Association of Newfoundland and Labrador (HSA) is looking for artist submissions for a summer art exhibition at the Water Street Gallery on the second floor of the Heritage Shop at 309 Water Street. The exhibition will be held July 11th to August 26th, 2018. The show is titled A World of Its Own. 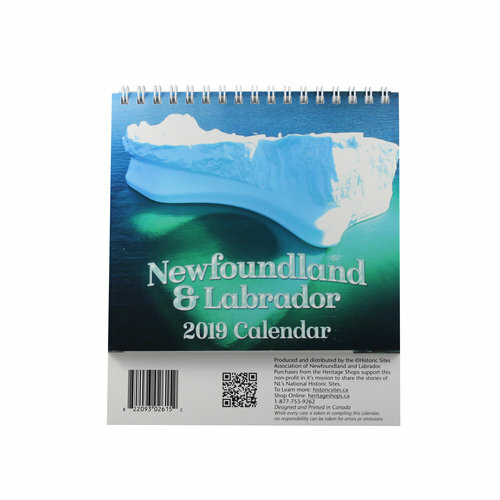 It is open to all artists who wish to explore what makes our province so special and unique and portray that in their art medium while relating it to Newfoundland and Labrador history, landscapes, nature, activities, events and memories. Please notify Rona Moore, Assistant Retail Operations Manager, of your intent to enter the exhibit by Friday June 15th, 2018 by emailing gallery@historicsites.ca. The deadline for all work to be received is Friday July 6th, 2018. Work and a submission form is to be delivered to our Heritage Shop location at 309 Water Street. A selection committee will choose pieces that will build a cohesive exhibition of visual artwork. Work should have been created in the past two years and relate to Newfoundland and Labrador in some way. Artwork must be for sale and all media is welcome. All entries must be ready to install with required rods, hooks, etc. and should come with specific hanging and/or other instructions in writing if necessary. The submission form should be filled out and enclosed with your work. If you are sending more than one entry, each item should be clearly numbered and marked with your name. Artists set the retail price of their work (the price the piece will sell for). Artists will be paid 60% of the retail price for their sold work. Each artist is responsible for the cost of packaging and shipping submitted works to and from the gallery and for insurance while in transit. Works must be properly packaged in reusable packaging. If works are not sold, artists are to pick them up following the end of the exhibition unless otherwise arranged. Artwork purchased by customers at the Water Street Gallery will be processed, packed, and shipped by Heritage Shop staff.